Sometimes you just need an easy egg option. With kids and always feeling like I am on the go, I like to have a few go-to recipes that can be done in under 5 minutes. As much as I love to take my time in the kitchen, sometimes I just need a quick meal. 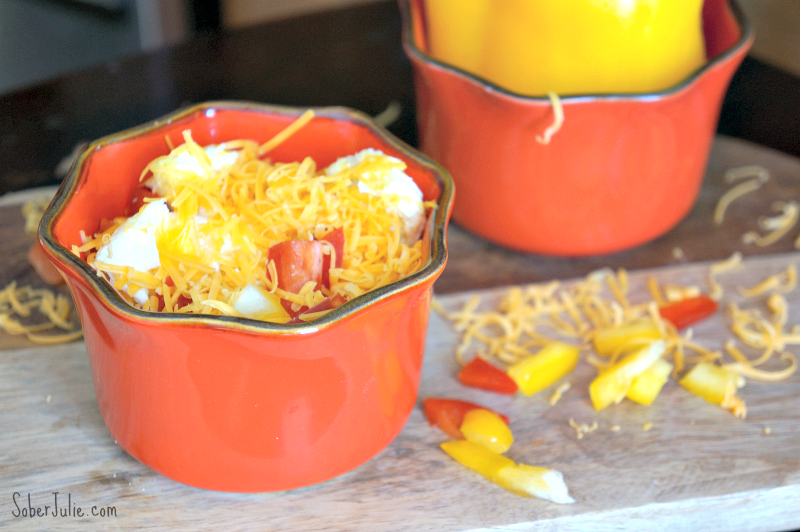 For my Easy Cheese and Veggie Egg, I used my microwave egg cooker. It took me exactly one minute to have perfectly scrambled eggs! Plus, I used my favourite Old Cheddar Cheese from Armstrong Cheese for that extra little kick of yum! 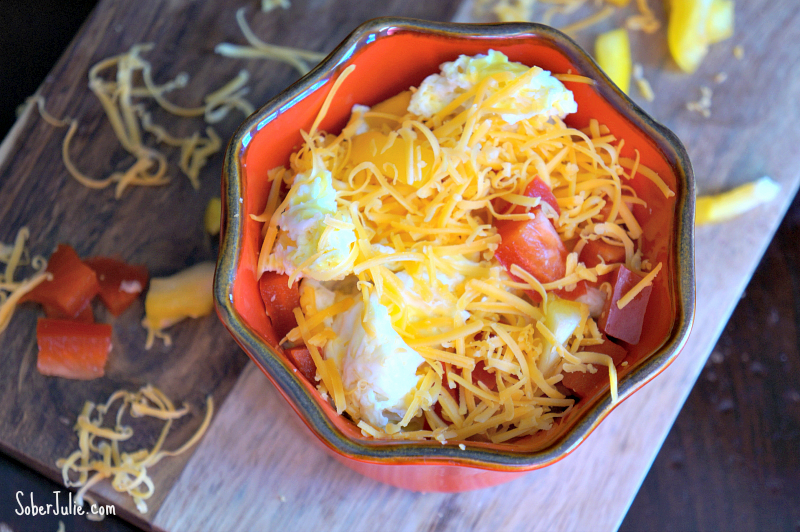 In a bowl, toss in scrambled egg, chopped veggies and top with cheese. Done! How many delicious recipes do you know that can be made in under 5 minutes? Eggs are so good, I’ve been having them almost daily this week. This would be the perfect breakfast for my busy weekdays! What a wonderful wee meal! Great recipe! Thanks so much! This looks so perfect. That container is so cute. Where did you get it?